Who has won the most Ashes series? | What can I learn today? Who has won the most Ashes series? I have had tomorrow’s date circled in my calendar for ages. And that’s because it’s the start of my favourite time of the sporting year – cricket season. Now normally, I’ll squeeze in quite a few live games, ranging from one sayers to the domestic competition. 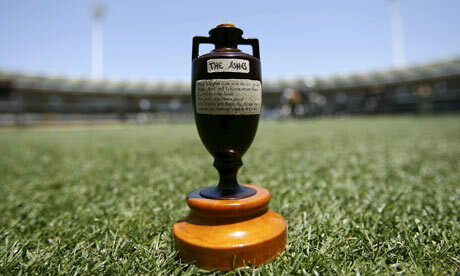 But tomorrow is going to be extra sweet, as it’s the first Test of the Ashes, a long-standing series played between Australian and the Poms, aka England. Now I’ll be the first to admit Australia hasn’t performed all that well during the past few years, so I fully expect to cop a sledging from the UK fans, affectionately called the Barmy Army. But I didn’t want to go unprepared without some vestige of pride in the green and gold. So I decided I would see which nation had won the most Ashes series. And thank heavens for small mercies – it was us. Just. To be precise we’ve won them 31 times compared to 30 for the Brits, who I’m sincerely hoping don’t even the score this year. To quote the classic song, C’mon Aussie c’mon c’mon. The term ‘Ashes’ was first used after England lost to Australia – for the first time on home soil – at The Oval on 29th August 1882. A day later, the Sporting Times carried a mock obituary to English cricket which concluded that: “The body will be cremated and the ashes taken to Australia”. The concept caught the imagination of the sporting public. A few weeks later, an English team, captained by the Hon Ivo Bligh [later Lord Darnley], set off to tour Australia, with Bligh vowing to return with “the ashes”; his Australian counterpart, WL Murdoch, similarly vowed to defend them. ← How long did the Titanic take to sink?